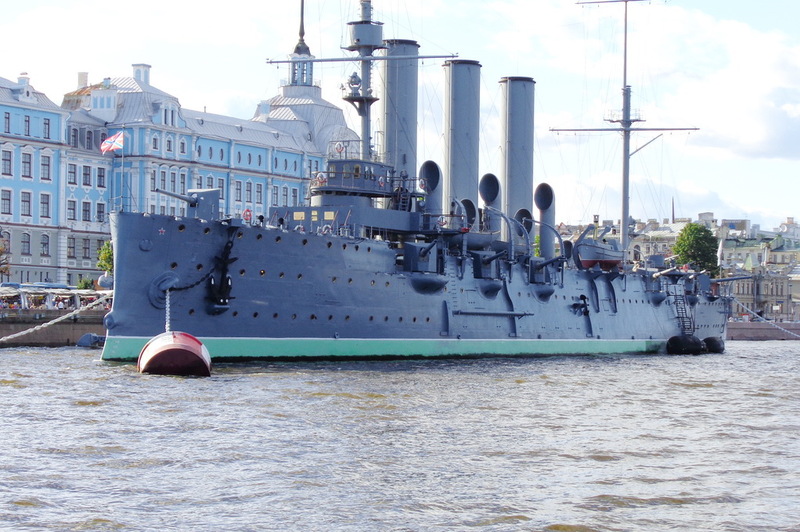 Cruiser Aurora, a ship museum, the symbol of the 1917 Bolshevik (Russian, Communist, Great October) Revolution is back to its mooring and will be opened to public on July, 31. Built in 1900, the legendary ship took part in Russian-Japanese War in 1904/1905, World War I and then as an artillery base for anti-aircraft defense in World War II near St. Petersburg (then called Leningrad). But it became the most prominent ship of the Russian history and one of the most famous ships in the world not due to its battle actions. In 1917, Aurora made a blank shot thus giving a sign to the start of the successful Communists-led Revolution. As a symbol, in 1957 it was turned into a museum, with restoration in 1987 and 2014-2016. Now the ship museum is dedicated to the Russian-Japanese War and World War I let alone the history of Aurora itself. It will be reopened on July, 31. Interestingly, that despite the fact of being a museum, Aurora is still part of the Russian navy and even dubbed the ship number one.